OUR PRICE: $10.29 - Join Rewards Get $1 Dance Dollars On This Item! 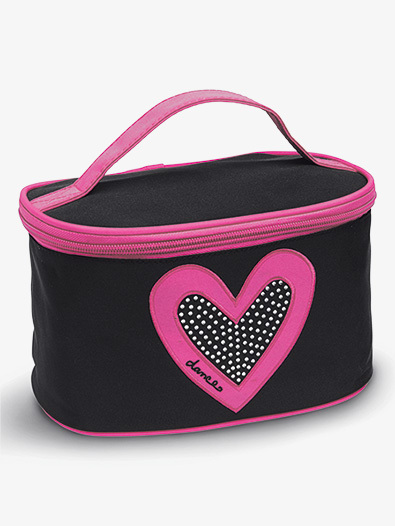 Make-up case with Pink heart and rhinestone. A perfect size compartment to keep all your accessories in one place. Includes a water repellent inner lining. Fold at for easy storage.